Continuity mistake: All wide shots of Hrothgar's hall show it in the outer ward of his fortress, about two hundred metres from the towers on the edge of the cliff, with open ground on three sides and an embankment on the fourth. But later several characters are able to step straight out of the hall onto a balcony that overhangs the cliffs and sea below. Trivia: The strange language in which Grendel (and sometimes his mother) speaks is Old English (a.k.a Anglo-Saxon), the language in which the poem was originally written. Trivia: While working on the screenplay for this movie, Neil Gaiman constantly had people misunderstand him, and believe he was writing an episode of "Baywatch". 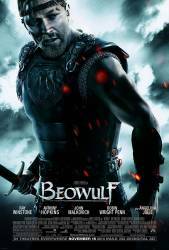 After the script was finished, he actually did adapt "Beowulf" again, setting it in a quasi-futuristic Baywatch-setting. It made its way into his anthology "Smoke and Mirrors", under the title "Bay Wolf". Beowulf: If we die... it will be for glory, not gold. Beowulf: Great friend, There is something you should know. Wiglaf: Nay! There is nothing I should know. You are Beowulf. Beowulf the mighty, the hero! The slayer and destroyer of demons! Now let us kill this flying devil where it sleeps and get on with our bloody lives. Question: Are there any lyrics available for what is being sung in the theme score ("Main Title" and "What we Need is a Hero")?